This looks like an enlarged knockoff of a Starrior (Runabout), but is battery operated, and also has a weird “plane” mode. Any info on this thing would be sweet, as I know nothing. 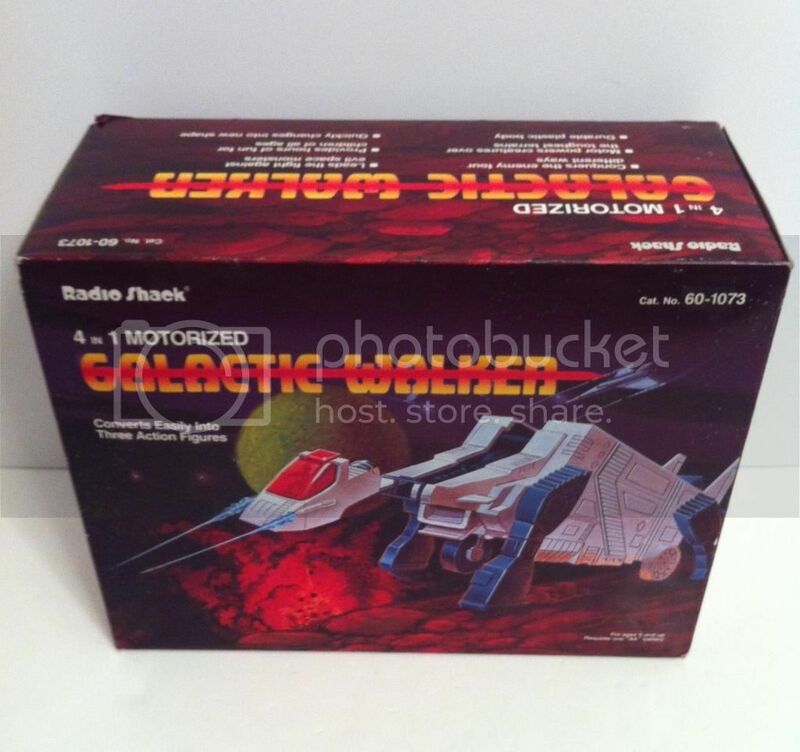 Update: look down there in the comments–this is a 4 in 1 Motorized Galactic Walker, from Radio Shack. Mystery solved! I’m not sure what it is either. I’ve been looking for one for quite some time. Let me know if you see another one. You have one of these too?? I got mine from someone off the Zoiders list many moons ago, who also had no idea what it was or where it came from. So, welcome to the brotherhood of the baffled. I’m not very knowledgeable on Starriors but I collect 70s and 80s toy robot newspaper ads and I think I’ve seen one for this toy. 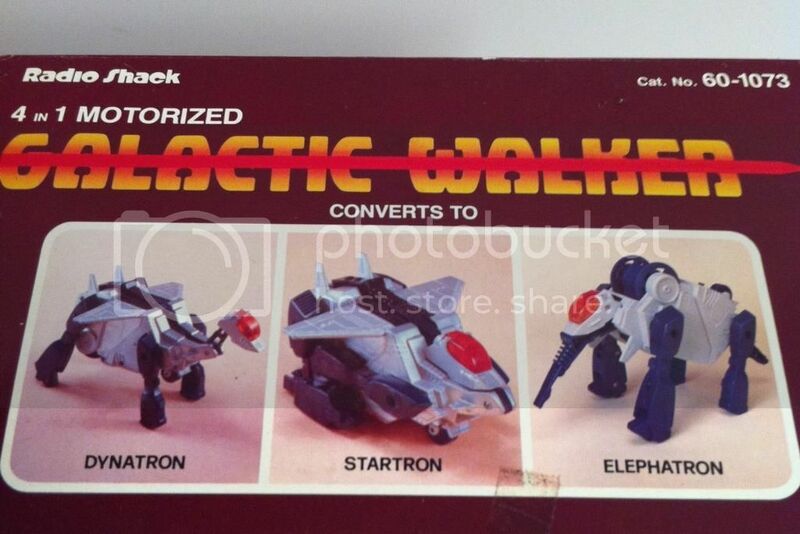 If I’m right it was sold at Radio Shack in 1985 as the “Motorized Galactic Walker”. Compare the one pictured in this Radio Shack ad from December 1st, 1985 to the photos you have here and I’d say the mold details match exactly. But of course I can’t be 100 percent sure because I have never seen a Motorized Galactic Walker in person. Holy Schnikies! I found one of these MIMB on Ebay! I will post some when I get it in my eager mitts. Ebay says it should be delivered on the 1st of November. Oh wow, that’s awesome! You’ve made my week. I put a battery in it and it works perfectly. I emailed the seller about where did they get it. They said they worked for radio shack back in the day. Here’s the kicker they may second one in storage.